Range Rover has recently bestowed the world with new generation of Sport model plate that had seen James Bond at its side for the unveiling ceremony in New York, but to prove those same sorts of assortments in its engineering strata, there needs a long vying era of testing establishment being based in every stride. Just now to gain the charm, JLR had opened a new engineering testing test center in Dubai which will see the extreme hot weather vehicle research whilst of the research and testing for same. 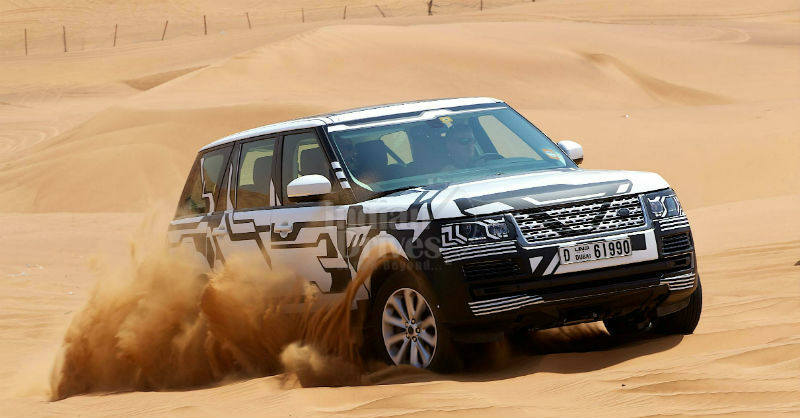 As known, Dubai was already having a R&D center, but being smaller in size it is now replaced with the bigger one for making possible the test of powertrains, chassis, and heat and ventilation systems, whilst of the off-road and sand driving capability of Land Rover’s unique Terrain Response system putted to work at best. Spawned in an area of 11,120 sq. ft. and located at Al Barsha area of Dubai, UAE, new facility also offers comprehensive tests like durability, calibration and hot weather testing for heat and humidity captioned in the temperature range of 48 to 50 degrees Celsius, which the Arab land is capable of yielding it very easily. In addition, JLR possess five testing centers around the world, namely Nurburgring, Germany; Arjeplog, Sweden; Phoenix and International Falls, USA, and lastly Dubai, UAE. JLR is one of the aspiring brands in auto world and its new facility will prove crucial to the company’s continued success with every model for the European and MENA markets, which are destined to be certified here in Dubai followed by a thorough testing before landing onto the global production, concluded Colgan.